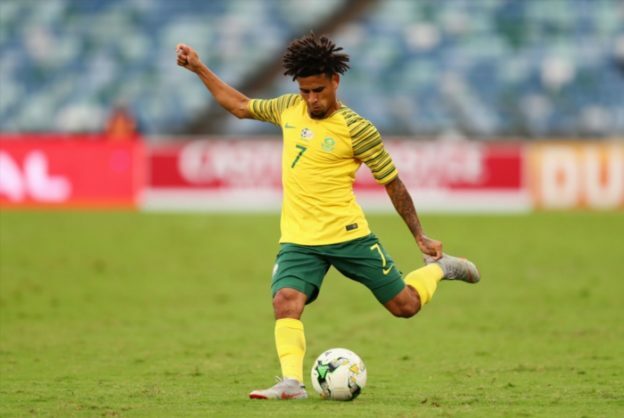 Bafana Bafana midfielder Keagan Dolly will miss South Africa’s 2019 Afcon qualifier against Libya because of an injury. Coach Stuart Baxter confirmed that Dolly is not available for selection for this match because of a hamstring injury. “Keagan had been doing very well in training but has had to be ruled out of this encounter due to stiffness in his right hamstring. We are fully aware that both him and Bongani Zungu came into the camp after being declared medically fit to play, but with the different weather conditions we have had, and training on different pitches throughout the week, this has caused some strain on Keagan. The good news, however, is that Bongani though is looking very good in training and has really pushed himself,” Baxter was quoted by the Safa website. Dolly has not played for his club this season after recovering from an injury, but Baxter called him up nevertheless despite his lack of game time.